Posted December 11, 2014 by Elliott Brennan & filed under City News. WestConnex officials have revealed to the City of Sydney Council that an area 12 metres wide along the length of Sydney park will be subsumed as part of the second stage of the project. The private consultation in which this was unveiled became a point of contention with some Councillors claiming WestConnex CEO Dennis Cliche was “verbally abused” during the course of the meeting. 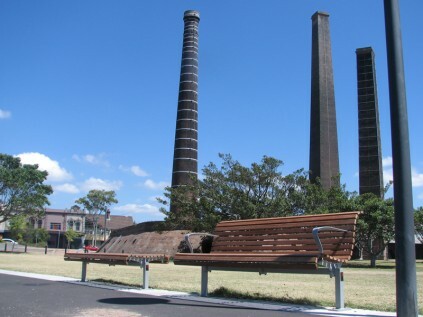 Sydney Park is one of the largest open green spaces in the inner city. The proposal as part of The WestConnex Delivery Authority’s road widening would see a loss of roughly 11,000 square metres from the site – a move which has angered most members of Council. The City of Sydney Councillors addressed the issue in their official Council meeting on Monday (December 8). Labor Councillor Linda Scott said roads should never be put before parks. “Green space in the inner city is precious and must be expanded, not destroyed and turned into privatized toll roads. With increasing numbers of our communities living in apartments and obesity rates on the rise, inner city green space should never be turned into roads,” she said. Lord Mayor Clover Moore moved a motion to note that the impacts on Sydney Park were “unacceptable”. The WestConnex Delivery Authority has informed City Hub that the land is owned by Roads and Maritimes Services “and has always been intended for road widening”. The City of Sydney extensive plan of management for the site was released in May this year and acknowledges that the land is State owned. Cr Scott believes the purpose of the State-owned strip has changed significantly in recent years noting the original plan for an East-West link from the 80s. “We’ve had a transport bureaucrat pull out a 30 year old plan and put it to the NSW Government, and they’ve jumped for joy,” she said. The 12 metre corridor, if fully used will cut off a FedEx building that is on the site as well as the Metromix Batching Plant which currently stands. It remains unclear if the State will acquire and remove these buildings. Cr Scott believed that this information could mean that the Minister for Roads, Duncan Gay may have misled parliament. “In November, My Gay said that green space in Sydney Park would not be removed by the St Peters WestConnex interchange project. In response to a Labor question that Sydney Park would be retained in its entirety as open space, Mr Gay responded ‘the short answer is yes’,” she said. Mr Gay’s office declined to comment on the issue, but the WestConnex Delivery Authority told City Hub that it was Euston road getting expanded, and not Sydney Park being reduced – which stipulates that the land was never a part of the park. Both Liberal Councillors, Edward Mandla and Christine Forster, said that the council as a whole had been wholly disrespectful when WestConnex CEO Dennis Cliché met with them. “It was a cowardly attack on a department spokesperson,” Cr Mandla said. Cr Forster said that the meeting was not constructive. “This is simply nimbyism,” she said. Independent Councillor Angela Vithoulkas completely rejected the idea that the grilling was uncalled for. “The Lord Mayor was tough with him,” she said. The Lord Mayor moved a motion to demand more information about the WestConnex plans including the placements of exhaust stacks which are predicted to be at the St Peters end of the M5 extension which passed with the support of all but the Liberal Councillors.